We are delighted that due to the generosity of our team to be able to donate Easter eggs to Helping Hand. Helping Hand is the charity to the Royal Belfast Hospital for Sick Children. 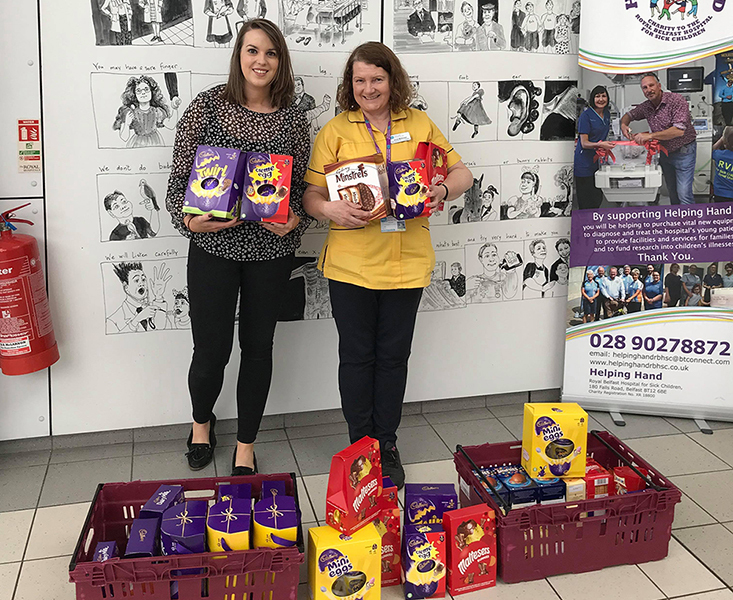 Helping Hand give each child in the hospital including outpatients an Easter Egg on Good Friday as a little gift to say get well soon. The eggs are also used for making hampers and baking in the ward. Find out more at Helping Hand.